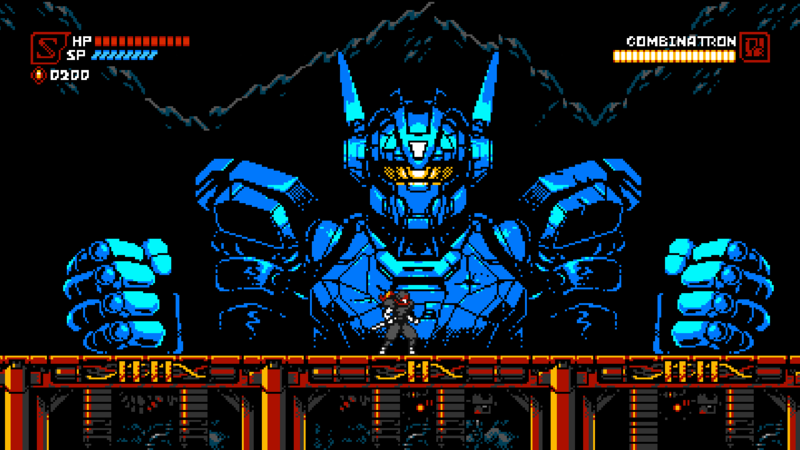 Yacht Club Games has officially unveiled its second project, a retro Strider-style ninja action game called Cyber Shadow. The team at Yacht Club Games may not be quite finished with its Shovel Knight saga just yet. However, that doesn't mean they haven't already started moving on to their next big project. 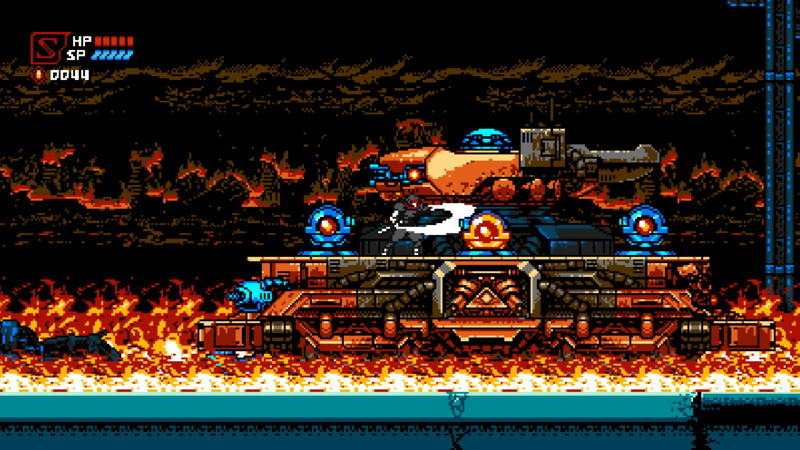 On Wednesday, that project was revealed in more detail, as Yacht Club is collaborating with indie studio Mechanical Head Studios for a different kind of retro throwback called Cyber Shadow. Cyber Shadow is largely the brainchild of game designer Aarne "Mekaskull" Hunziker, the man behind Mechanical Head Studios, who has been iterating on this concept for the past decade. This is a futuristic ninja action game, as players step into a dystopian town called Mekacity that has been completely consumed by synthetic lifeforms. Only a strong and agile ninja named Shadow can find out how this nightmarish world came to be, while also working to stop the evil techno hordes that are coming after him. And like Shovel Knight before it, Cyber Shadow is presented in a retro 8-bit aesthetic. Yacht Club and Mekaskull note that Cyber Shadow's gameplay is inspired by games like Super Mario Bros., Ninja Gaiden, Contra, and Batman. However, looking at the above trailer and seeing the ninja's moves, this is more reminiscent of a different old-school ninja game: Strider. Picture a blend between Strider and Ninja Gaiden along with enemies that would fit like a glove in the Contra world and you have Cyber Shadow. Yacht Club and Mechanical Head aren't quite ready to announce a release date for Cyber Shadow just yet. However, it will be present and playable at PAX East this weekend. Cyber Shadow is coming soon to PC, PlayStation 4, Xbox One, and Nintendo Switch. Learn more about the game on the Cyber Shadow website. As for Yacht Club's other ongoing game, look for more information on Shovel Knight: King of Cards to come soon, potentially as early as PAX East. That looks awesome! They make the best NES games.